The Sears, Roebuck and Company catalog dates back to 1888, when Richard Sears first used a mailer to sell watches and jewelry. The U.S. Post Office provided a boon to the mail order business by allowing mail order publications to be classified as "aids in the dissemination of knowledge," entitling them to reduced postage; after 1896, Rural Free Delivery also facilitated the spread of catalogs like the Sears, Roebuck and Company to farms and villages throughout the still-expanding nation. 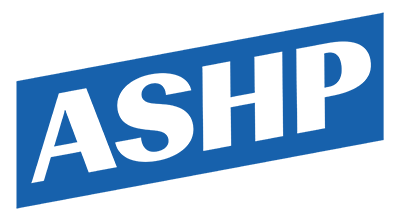 Sears was an innovator in the form, using catchy slogans and testimonials from satisfied customers and going to pains to ensure that consumers were offered the best values. This early "Consumer's Guide" from 1897-98 reflects Sears, Roebuck & Company's claim to be "The Cheapest Supply House On Earth." Source | "Sears, Roebuck and Co. Consumers Guide; Catalogue No. 105"; (Chicago: Sears, Roebuck and Co., 1897-98); from W.W. Norton, America: A Narrative History, http://www.wwnorton.com/college/history/america6_brief/resources/ch20.htm#docs. 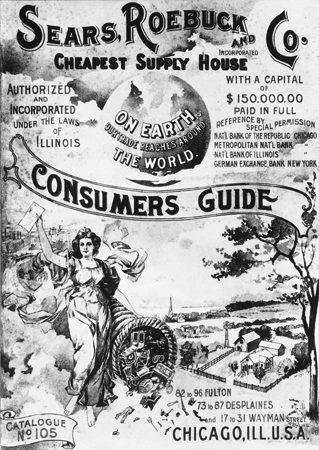 Cite This document | Sears, Roebuck and Company, “"Consumer's Guide",” HERB: Resources for Teachers, accessed April 18, 2019, https://herb.ashp.cuny.edu/items/show/497.